Samsung’s Galaxy S line is probably the most famous after Apple’s iPhones. In fact, many people believe that all Android devices are “Galaxy” products. For years, Samsung’s flagship line has amazed crowds. While everything was not so smooth through each iteration of the device (ahem Galaxy S5), Samsung’s S line has always been the most anticipated Android release for a very long time. In today’s post, we will look at what interested consumers can expect from the Galaxy S7 based on rumors, leaks and some gut intuition. The S6 was a massive overhaul in the aesthetics department when compared to its predecessor and the new design language it brought was utilized in Samsung’s other high end products. While the glass and metal S6 was gorgeous, it was nowhere near perfect. The glass made the device prone to fingerprints and shattering. To add to the burn, the device came with a sealed in battery and no expandable storage. Long term Samsung fans were outraged however the majority of consumers accepted this change. After such a massive design change, we do not expect any significant modifications to the phone’s appearance. As sad as it may sound, we will have to deal with another flagship with a sealed glass sandwich design. On the bright side, many reports indicate Samsung will integrate a microSD slot and allow the expandable storage that Samsung fans have been missing for the past year. Other rumored tweaks include a stronger metal alloy for the chassis and even IP67 dust and water protection, a feature that was present on the S5 but was dropped for the S6. One thing we do know for sure is that the S7 will adopt USB Type C. If you were hoping for front firing speakers on the S7, do not cry when it launches with a single bottom firing unit again. We are unsure if the company will use the curved rear design of the Note 5 on the Galaxy S7 but it would certainly make the phone a much better device to hold in the hand. To finish things off, Samsung should be using a new and improved fingerprint scanner on the home button similar to the ones found on the Nexus devices. Even today, specifications are a big deal for Android smartphones. They aren’t as vital as they once used to be but are a good indicator of a device’s capabilities. The Galaxy S7 is expected to come in two variants, a Snapdragon 820 powered version and an Exynos powered version. Last year’s Exynos 7420 was extremely powerful but the 2016 processors should wipe the floor with the older SoC. 4GB of RAM and 32GB of built in storage are expected to accompany the powerful new processors. While the processing package was never under question for the S6, battery life was admittedly unsatisfactory. The S6 compromised on this vital aspect to keep the device thin but we hope Samsung has learned by now that battery life is of far greater importance. The S6 launched with the best camera on a smartphone so its successor has some big shoes to fill. According to various sources, the Samsung is experimenting with a 12MP camera built in house. It is quite strange to think Samsung will reduce the pixel count but Samsung is reportedly looking to improve low light imaging and overall image quality. We saw some recent patents filed by the company that could help improve image quality but a reduction of the pixel count could result in a negative response from the market. Ultimately the photos the phone will take will determine its worth however millions still buy the numbers. Samsung will obviously use a Super AMOLED panel for its latest flagship and the resolution should remain at 2K (2560 x 1440). What is interesting about the display is the different sizes that are being tossed around. As of now, it is rumored that there will be three variants of the device: Galaxy S7, Galaxy S7 Edge and Galaxy S7 Edge+. The number of variants at launch are constantly shifting in insider reports but rest assured, there will be more than one version of the device. The Galaxy S7 will without a doubt ship with Marshmallow. TouchWiz has always been a pain for Samsung users but last year we saw the tamest version of the UI which ultimately helped performance. The company chose to omit gimmicks and instead integrated a theme engine which was accepted positively. This time around, Samsung is speculated to fine tune TouchWiz even more to make the user experience smoother and faster than ever before. Additionally, battery life should be getting a boost. The high end 2015 smartphones from Samsung were packed with lots of RAM but suffered from strict memory management. This caused many apps to require reloading when multitasking which resulted in the device slowing down relative to its competitors. It is unclear how and if this issue is being addressed. If not, all that RAM will essentially be just for show. The Galaxy S7 is a device that we have been anticipating for a while. The S6 did such a great job compared to the S5 that we expect nothing less than excellence from the S7. The S7 will not be very unique in terms of aesthetics but it will hopefully come with improvements that can overcome some of last year’s major complaints. The device will probably be unveiled at Mobile World Congress at Barcelona around 21st February. New reports suggest that the S7 will have a lower starting price than the S7 due to shifting demand towards powerful midrange smartphones. Therefore the retail price should be somewhere north of $700. 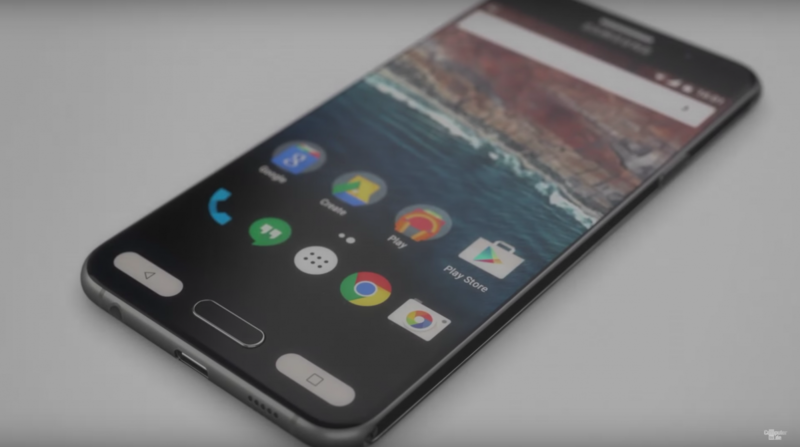 What do you think about the upcoming Galaxy S7? Are there any features you wish Samsung should include? Sound off in the comments below! iPhone 7 Plus Rumored to Sport Two Primary Cameras!